Have you heard of the Cricut Maker? If not, where have you been? If so, do I ever have a treat for you today. Your ultimate guide is here to all things Cricut Maker. See reviews, tutorials, comparisons, tips, tricks, and so much more! There is so much you can do with this machine and I want this to be your one stop shop for all things Maker. I will keep this post updated from time to time so be sure to check back here for new ideas occasionally. Now lets get started! First, what is the Cricut Maker? 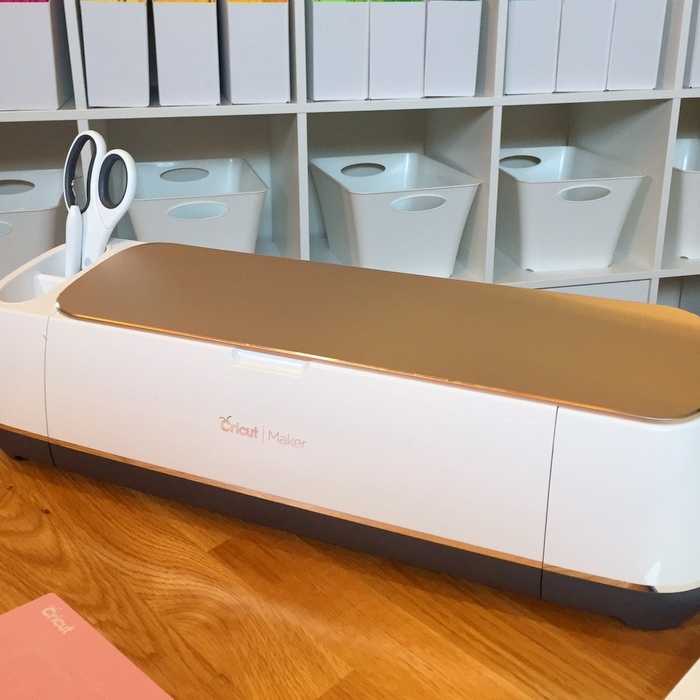 As of this writing, this is the newest machine in the Cricut family. You get all of the features of the Explore Air 2 along with the ability to use advanced Rotary and Knife blades that expand your crafting significantly. This machine cuts hundreds of materials, from the most delicate fabric and paper to matboard and leather. With a significant increase in cutting force, this machine is a heavy duty cutting machine that is easy to use in your home. You can read a list of the features here. You can also find a post all about the Cricut Maker and the functions and features here. Want to see what it looks like when it arrives to you? Be sure to see this post on what is included in the box. What other tools can I use with it? There are a few accessories you can purchase that are actually just for the Maker that make your crafting even easier. You can see details on cutting thicker materials with the knife blade here. Plus, if you are a paper crafter, you might want to see this post on the scoring wheel. Do I really need a new cutting machine? If you already have a Cricut, Silhouette, or any other brand of cutting machine, the question in your mind is do I really need the Cricut Maker? The posts below that should help to answer those questions! Is It Time To Upgrade Your Cricut? Does this machine really do what it claims? Now maybe you are ready to buy but maybe you are on the fence. It sounds great but how does it stand up to the test? 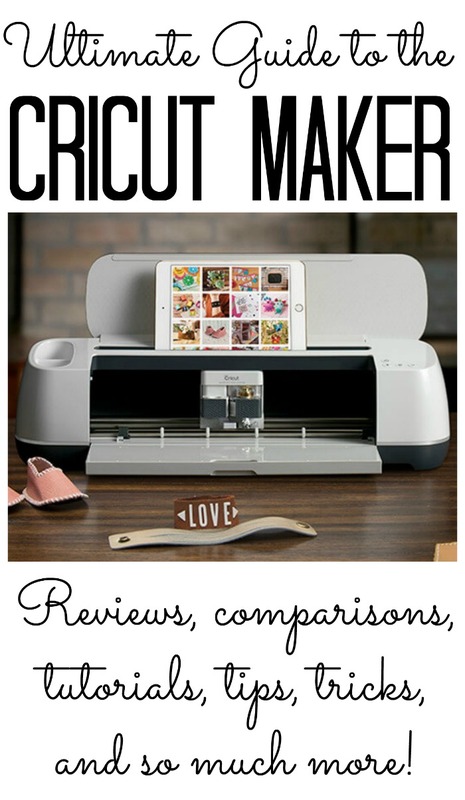 Read the reviews below to see opinions on the Cricut Maker. Sometimes seeing is believing. What exactly can you make with the Cricut Maker? There are just too many things to list! I do however have a list below of tutorials that can be found online for great projects. How many will you make once your machine arrives? Beginners and vets alike can use the help of some tips and tricks for using a new piece of equipment. The list below are the posts that I have found that will help you in your journey to creating amazing things with your own Cricut Maker! Enjoy! Are you convinced and ready to get your own? Click the links below to shop around for your own! Be sure to look for online coupons to save on the machine. You can also sign up for Cricut Access to save on when purchasing on the Cricut website. Learn more about how to do that here. Be sure to share if you purchase your own Cricut Maker and what you make with it! We would love to see your creativity. If you have any questions about the Maker that these posts did not answer, please ask them below. I will try to find you an answer! Happy creating!